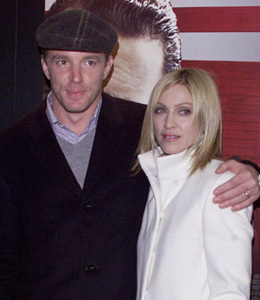 Madonna and Guy Ritchie are one step closer to becoming kaput. The couple was granted a "quickie" divorce Friday in the High Court of London. According to a document released by the court, Madge said in a sworn statement she is divorcing Ritchie for his "unreasonable behavior." The "Sherlock Holmes" director expressed relief at the speed of the divorce. Ritchie told the Daily Mirror, "Thank God. It was never about money -- never about her bloody art collection. I just wanted to settle it and move on... I didn't raise any objections at any stage until she insisted the children lived permanently in New York." The hearing lasted barely a minute and was not attended by the couple or their lawyers.